Despite all the wine closure options out there, traditional cork remains “king” in most markets, with many consumers associating natural cork with wine quality (save for Australia and New Zealand, who prefer the screwcap). In recent years, however, technological corks have been making headway, with these closures increasing in market share in recent years. One type of technological cork that has seen their market share skyrocket in recent years is the Diam (and Mytik Diam) cork. Made using traditional cork, Diam seeks to eliminate the issue of cork taint and provide winemakers with a high level of consistency in aging from year to year, all while maintaining all the traditions of a natural cork. 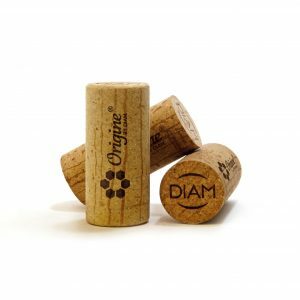 First, Diam purchases raw cork straight from the producers, breaks it down into tiny particles, and runs it through their patented cleaning process: the Diamant® supercritical CO2 cleaning technology that was developed as an exclusively cork purification process. Originally developed in the 1950s by Maxwell House to decaffeinate coffee, the Diamant® supercritical CO2 patent further developed that technology specifically for corks: an industry first. At a certain temperature and pressure, CO2 lives in this state between liquid and gas, called the “supercritical” state. When CO2 is in this supercritical state, it can penetrate deep into cork and remove the TCA compounds responsible for cork taint, as well as other compounds that may negatively influence the wine.